We are engaged in offering Alternator Rectifier Plate in the national market. We manufacture Alternator Rectifier Plate from high grade material. 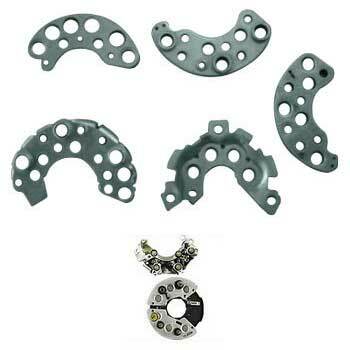 Alternator Rectifier Plate is an important component in finding application in different vehicles. Also, clients can avail Alternator Rectifier Plates in various specifications by us that are made as per clientsâ�� specifications.